BIO (or allow myself to introduce myself): J.Scott Reinitz grew up with travel. As a child, his family was stationed at a U.S. Army base in a country that used to be called West Germany, and he spent the days exploring the forests and creeks around the burgs and dorfs that surrounded the Kreuzeburg Kasern in Zweibrucken. 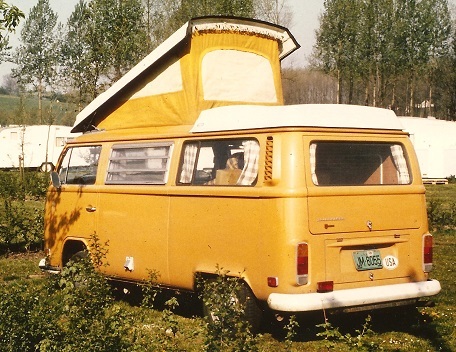 His father had a penchant for loading up the family in the Volkswagen microbus and sputtering (or whatever you call that sound that VW engines make) across Europe. He now spends his time in the Midwest United States hacking out a meager existence as a writer/photographer and trying to bring the same sense of wonder to his two children. Our full site is here. Shop for gifts at Pocket Clutter. Proceeds (if we ever make any) keep the website running. Please drop us a line at by email. Great blog! Thanks a lot for connecting with us on Twitter! Keep up the great work and travel safe!